In case you haven’t heard, sushi is bomb. And it blows my mind when anyone who doesn’t come from a third-world country hasn’t at least tried the amazingness that comes in the form of a crunchy spicy salmon, eel avocado, or soft shell crab roll. In my mind, there’s no place that can compare to the sushi joints in Hawaii; but I’m more than happy with the options we have here in NYC. If you find yourself around my neighborhood (aka the Upper East Side), here’s your best bets for a sushi fix. When I was living on East 66th street, I was all about Fusha’s sushi lunch specials. 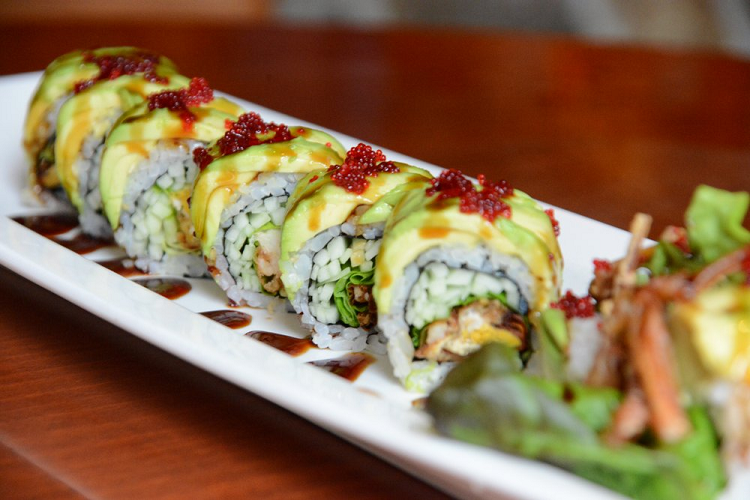 Any roll pairs well with the spicy mayo, but I especially love the spicy salmon roll and the soft shell crab roll. I’m also a fan of how Fusha’s rolls are generous, light on the rice, and heavy on the filling. And if you order the lunch specials, definitely opt for the veggie spring rolls as your *free* option. Haru is one of the more upscale sushi spots of the Upper East Side. I wouldn’t call it “budget-friendly,” but it’s definitely yummy. 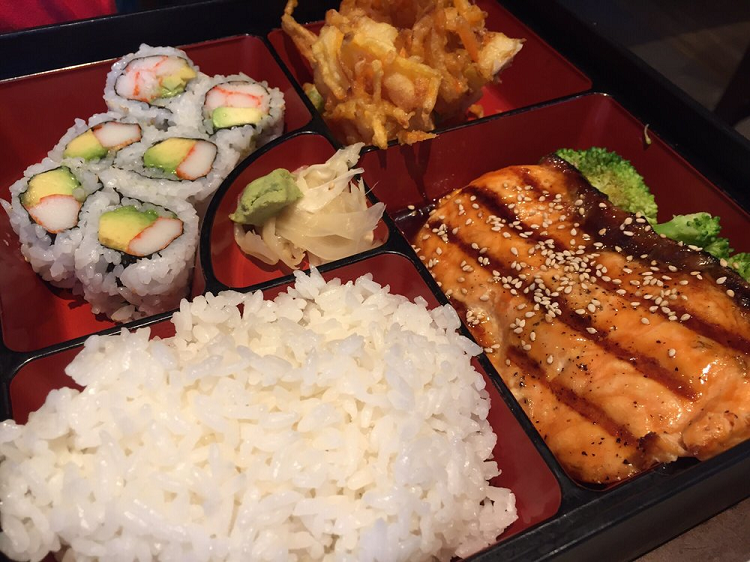 Aside from sushi specials, Haru’s bento boxes are all winners, filled with chicken and salmon teriyaki or tofu steak. And if you’re craving the fried side of Japanese fare – aka mixed tempura or chicken katsu – this is the place to go. 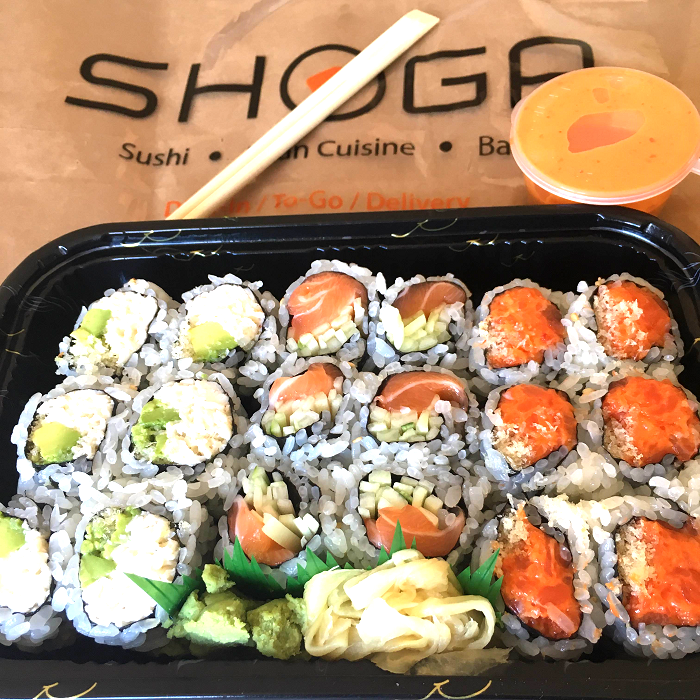 Shoga Sushi & Oyster Bar has been my go-to sushi spot for the past couple years, and I’m obsessed with their lunch special (with with a side of spicy mayo, because… duh). I also love the snow crab salad, topped with avocado, tobiko, and tempura crunch. Lunch hours here are particularly slow, as most businesses are ordering delivery instead, so it’s a great corner spot to have a quiet and relaxing midday break.